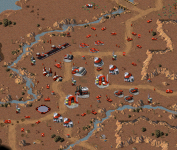 Dawn of the Tiberium Age (DTA) is a stand-alone mod that combines Tiberian Dawn (C&C 95) and Red Alert. While classic mode gets as close to the original game-play and balance as possible, Enhanced mode provides improved game balance and a lot of fun new stuff. DTA features many customization options for Skirmish and multiplayer (where you can play as GDI, Nod, Allies and Soviet on over 100 maps), challenging original singleplayer missions, as well as co-op missions. Since this is a stand-alone mod, you don't require anything but the mod itself to be able to play: the original game is not required. 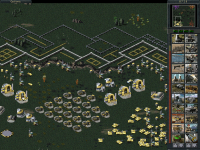 Post news Report RSS	The Dawn of the Tiberium Age v1.10 Released! After being under development for over a year, DTA 1.10 has finally been released. It has taken quite a while for version 1.10 of The Dawn of the Tiberium Age to get finished, but it's finally here and I promise you that it's not just been collecting dust all year long. DTA 1.10 has the longest change log yet, so I'm just going to link to it: Dta.cncxs.com. To get a better idea of what I'm talking about, just watch the trailer below if you haven't seen it already or you can of course just click the link above to download and play the mod straight away (do watch the trailer if you haven't seen it however, because I put quite a few hours in making it :P). O.o Still not authorised (11 hours?). BTW, @Bittah_Commander, if you check the "keep private" option, the news will be shown immediately w/o authorisation. But you shouldn't do that for a release news, such as this one, b/c release news are most likely to be spotlighted on the main Moddb page. Hadn't noticed this before. Looks great. Super job on that trailer, I can tell you put a lot of work into it. One of my favorite mods ever released for the C&C series as a whole. Really fantastic job you've done with the new version. Same here. Also the first game I played on LAN...EVER. Oh my God! One of the most awesome things I've seen! Good job with the trailer, downloading. You rock great job! 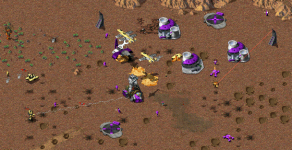 This mod finally gives everyone that skirmish mode we never got to play back in the day with classic c&c. How awesome is that? Never heard of you guys, shame on me :O This looks so awesome, damn I love the old CnC. Downloading right now an re-installing TS! Wait, what? I wish I had known this before I went on my multi-hour search of my TFD disc! Yes... Like I said above, it even works without having TS installed at all. Did just find out today that if you don't have TS installed, it might complain about missing DLLs. Strange... From my experience the missing DLLs error that occurs when you don't have TS installed only happens when you don't have blowfish.dll in DTA's directory, but since I included that file with the mod by default there sholdn't be any problems. Often having User Account Control enabled in vista will give you a missing DLLs error however; you can get around this by either running DTA as administrator or simply turning UAC off. Yeah, it sometimes worries about a missing .dll. But when you start it again, it works (I run it as stand-alone). However, the game still crashes on my computer (Win XP, skirmish) after a while. Sometimes I can play it for 5 minutes and sometimes even for 20 minutes. But in the end it always crashes (freezes for 3 seconds, then the exe produces an error). Sorry, no except.txt is being generated. Too bad... Is this crash occurring on just one (or more) specific map(s) or on all maps? On all skirmish maps (still haven't tried any other game mode yet). Doesn't matter which faction you play or what you do or how many opponents you've got. It just crashes randomly. Have to save the game almost every 5 minutes - still makes a lot of fun, though. Will try to use the mod-version (running the stand-alone atm). It's always stand-alone (whether you place it in the TS folder or not, it'll only use its own files) and the mod-version is going to work exactly the same, so I don't think there's really a point in trying. The only difference is that it uses a few copied files with a different file name. Yeah, it didn't help. Also crashes. There's one difference, though: You can't build any vehicles when you use it as mod :D Only infantry and helicopters. Vehicles icons are shaded black, when you click on them EVA says "building" but nothin' happens. That's actually a bug that occurs when you play naval maps in the classic mode. I found out what causes this; the necessary houses simply don't exist in the classic mode, but I found that adding the necessary code to the naval maps themselves does solve the issue. I'm also experiencing troubles with the game. It stutters after you deployed your MCV; after aprox 5 mins it becomes so bad the game crashes. I get (visual) 1 second intervals on all the actions that I perform. This is usually building and moving your units around. Could this be a compactibility issue? Am I missing certain DLL files? What platform has this been tested on? Could it be my 64 bits operating system? PS. Im falling in love again ;] please help me fix this problem! I personally use Vista x64, so that can't be the issue. From the sound of it, the problem you're having also isn't specifically related to DTA, but rather to Tiberian Sun itself. Simply place the ddraw.dll file in DTA's directory and start the game. Well that made it worse heh.. Now when I startup the game my whole screen turns black; I can hear the movie and the menu music.. also when I move my mouse I can hear the buttons but when I click something the whole game just crashes! Maybe try running it in Windows 98 compatibility mode? Compatability modes seem to work better for some and worse for others. I personally don't have a problem with running DTA and I use Windows XP. I do however have to use DDRAW.dll cause otherwise I get some serious lag after about 5 minutes into gameplay. I personally actually have never even tried DDRAW.dll, considering TS (and DTA) always ran perfectly fine on the few systems I tried it on. The game does slightly slow down for me when I produce cheap units or buildings, but it's only noticable when playing on the fastest game speed in skirmish mode (and for me fastest in skirmish is way faster than fastest online and online the slow-down isn't noticeable). i love you, for bringing so much nice memories back from my childhood. this was the first game i ever bought from my own money! great mod i sure gonna check it out. The trailer is incredible. I cant wait for 1.11,But 1.10 will suffice....for now.